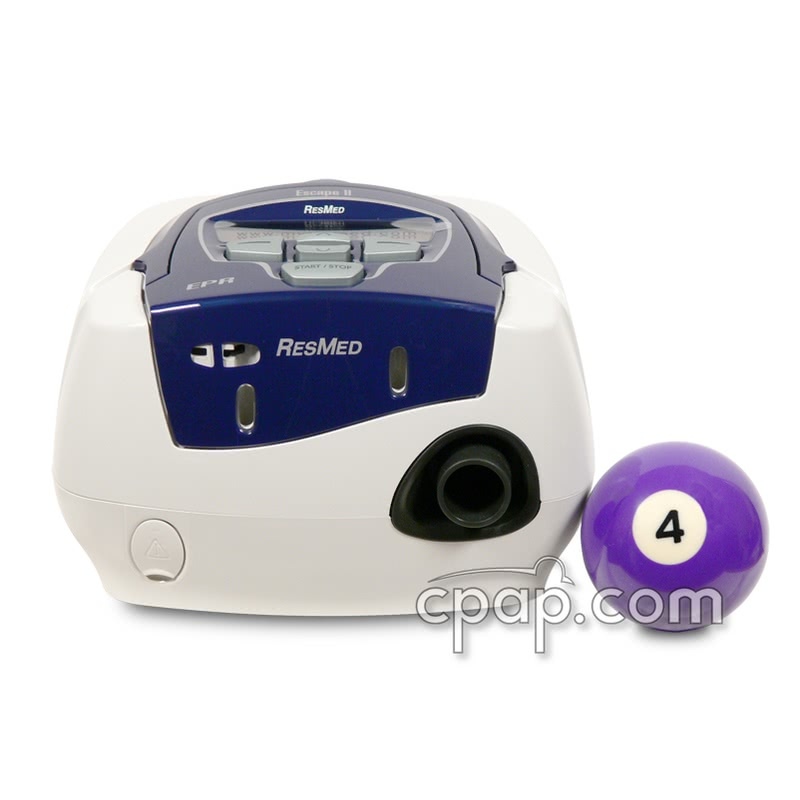 " machine is easy to set up and operate, quiet and ramp is easy to program. " " I had an older model of this machine and I loved it. It is quiet and allowed me to get used to breathing while air was coming in. I am so glad I have it! " The S8 Escape's overall design has changed little, but major improvements can be seen in the quietness of the motor and the new Easy-Breathe technology. 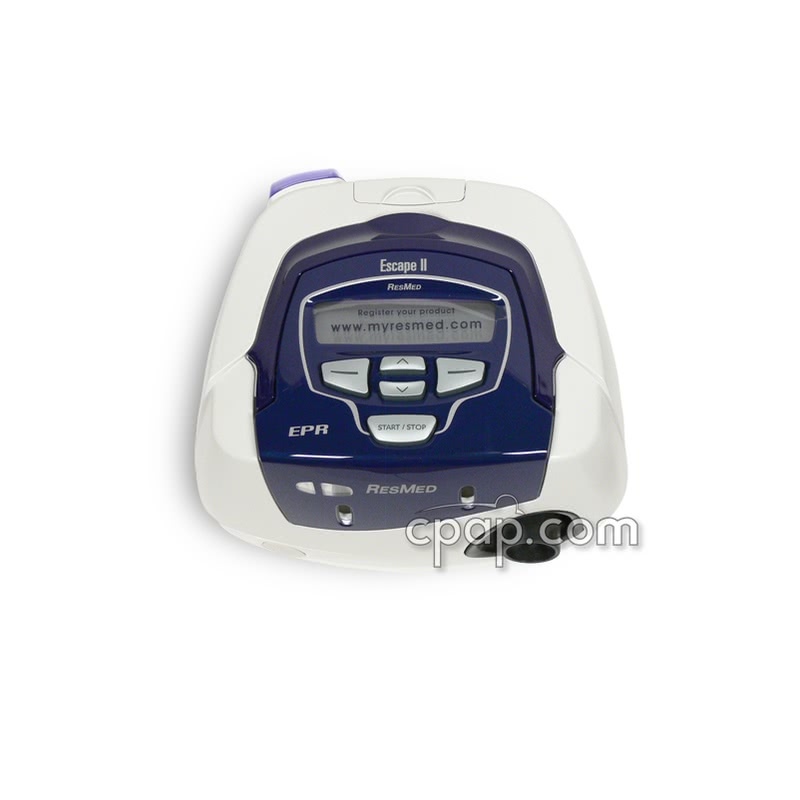 The Escape II is compact, quiet and now comes with expiratory relief. 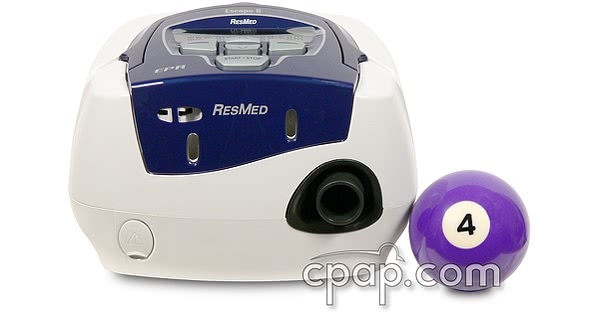 The ResMed S8 Escape II is equipped with a quieter motor and now comes with an improved EPR (Expiratory Pressure Relief) mode. The Easy-Breathe Technology is a new level in comfort and quietness. 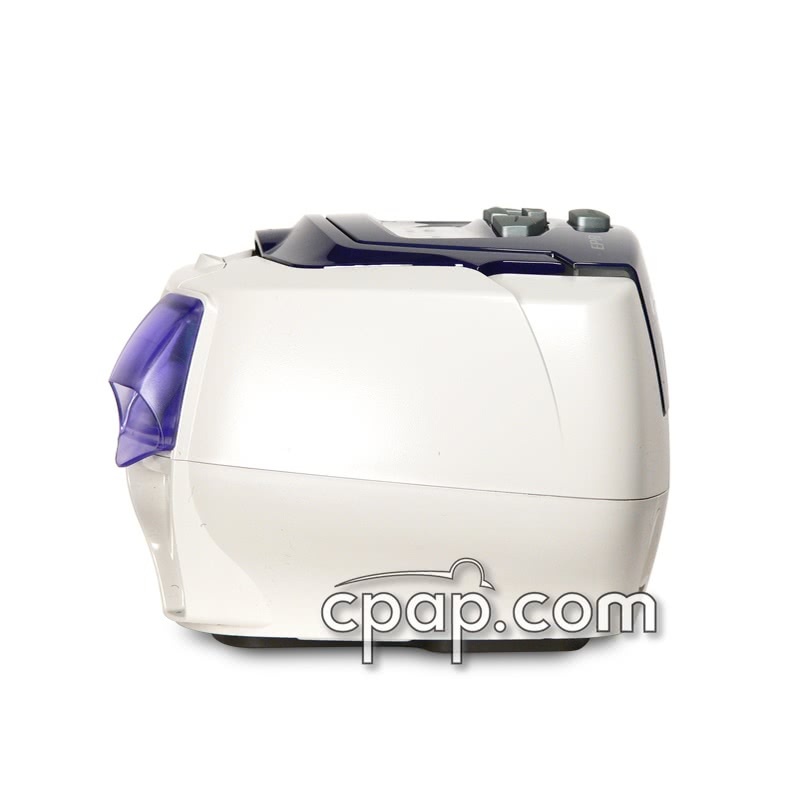 Users can choose a fixed CPAP pressure or an EPR mode with settings from 1 to 3 for maximum comfort. Adjusting the EPR settings allows the Easy-Breathe Technology to drop the pressure upon exhalation so that breathing feels more "natural". A pressure Ramp is also available and provides for a slow and comfortable increase to your pressure setting while falling asleep. The S8 Escape II offers an improved motor that outputs only 25 decibels at 10cmH20 measured at one meter away. The S8 Generation One motors average 30 Decibels, making the new motors 60% quieter. Fully customizable, the S8 Escape II has reminders for accessory replacements like your mask or machine filters. Take advantage of the remote downloading capabilities with the ResScan Data Card which provides usage data that helps you monitor compliance. The Humidiare humidifier is not DC-compatible and will be unavailable for use when connected through the DC-12 Converter cord. You will need the DC to AC Pure Sine Wave Power Inverter to operate both the ResMed S8 machines and Humidaire heated humidifier. Connect the pure sine inverter to any DC battery source and use the S8's AC power cord to run off of the inverter. 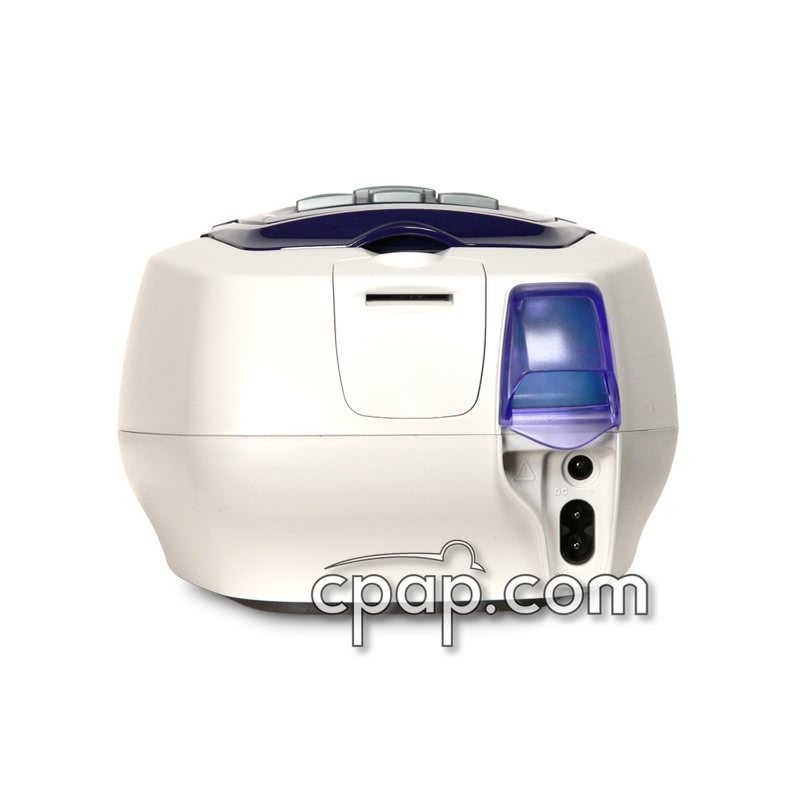 Machine Alone (Without Humidifier): The following are the options for using the S8 Escape™ II from a DC power source such as a battery. DC Converter for S8 Machines. This DC-12 Converter connects the S8 Escape™ II directly to a cigarette-style DC outlet. Respironics Battery Kit with DC to AC Pure Sine Wave Power Inverter Second Gen. This battery kit is a combination of the Respironics Battery Pack (No DC Cable) and the DC Converter needed for the S8 Escape™ II. Although direct DC connection using the DC-12 Converter would provide much longer run time, if an inverter is used with the S8 Escape™ II it must be an inverter of at least 150W. DC to AC Pure Sine Wave Power Inverter Second Gen: This inverter will convert DC power to the pure sine wave power needed to power both the S8 Escape™ II and humidifier. 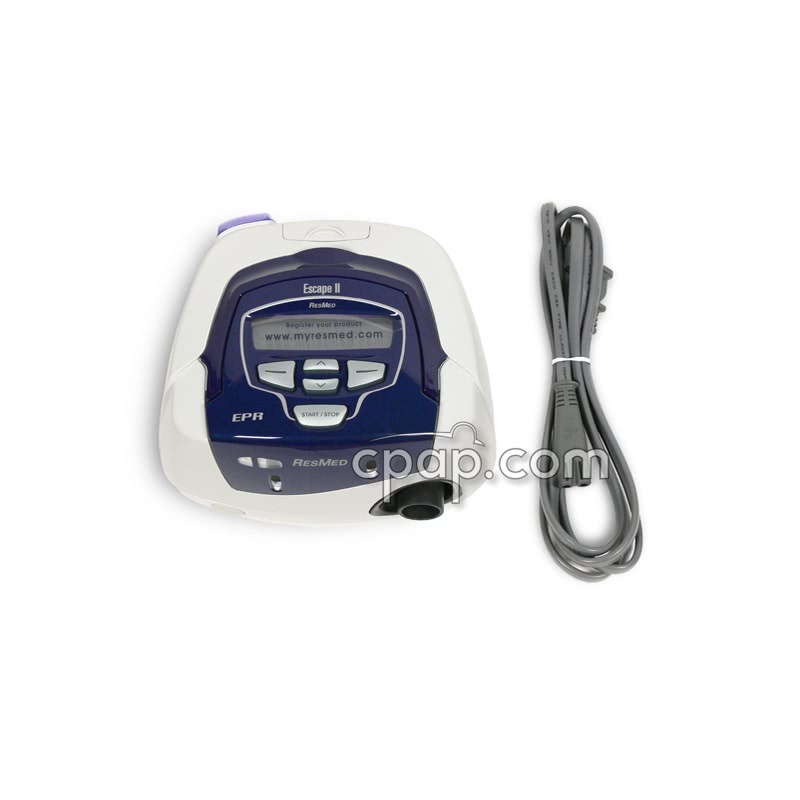 Respironics Battery Kit with DC to AC Pure Sine Wave Power Inverter Second Gen: This battery kit is a combination of the Respironics Battery Pack (No DC Cable) and the pure sine wave inverter needed for the S8 Escape™ II with humidifier.